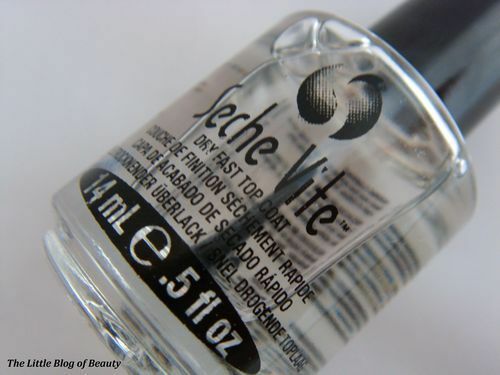 Seche Vite* top coat is regarded as one of the worlds best top coats and has many fans. So, did I fall completely in love with this? Well, no! 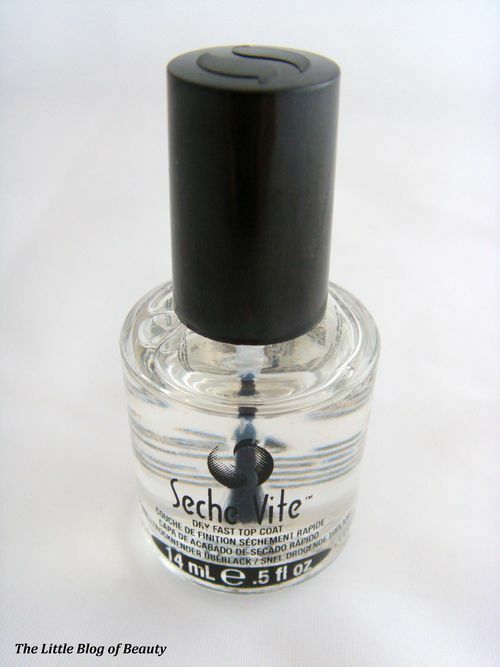 This has been designed to penetrate through your nail varnish down to the base coat to form a single solid coating over the nail. 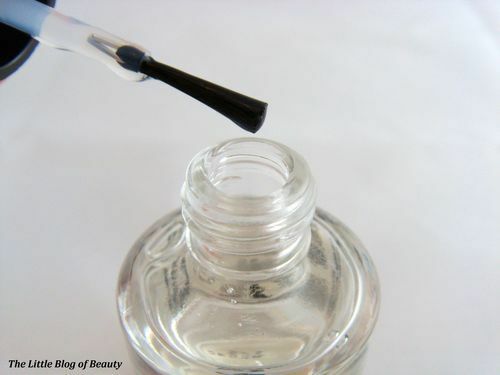 It’s also supposed to make your nails stronger and resistant to chipping and peeling. This does dry amazingly fast to a super glossy finish, but for me I think they may have been the only positives. I found the consistency quite watery, which is not too much of a problem as it’s hard to work with a top coat that’s too thick, but I did have to keep an eye on it to make sure it didn’t drip on me. I popped this on late one evening before i went to bed and the next morning I got up and had a shower. When I came out of the shower I was disappointed to find that several nails had chipped, and this wasn’t just one or two nails it was around half of my nails. I started picking this off (I know, very naughty but I can’t resist) and I noticed that although this peeled off quite nicely in big sheets the top coat peeled off leaving my nail varnish still in place on my nail. 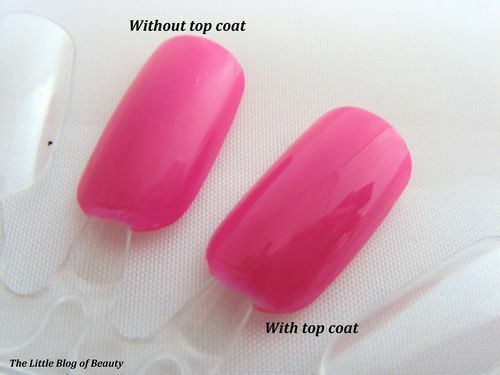 This surprised me due to the claim that it penetrates through your nail varnish to make one layer. I gave this another try a few days later and admittedly I decided to clean and tidy my room so my nails may have got a bit of rough treatment but again several nails chipped and this was less than 24 hours after application. It may just be me as nail varnish doesn’t appear to last long on me at all, no matter how good it is, but unfortunately this didn’t wow me in terms of chip resistance.